Have you registered yet for the 2014 Mid-Winter Dinner and Awards Ceremony? Slots are filling fast! 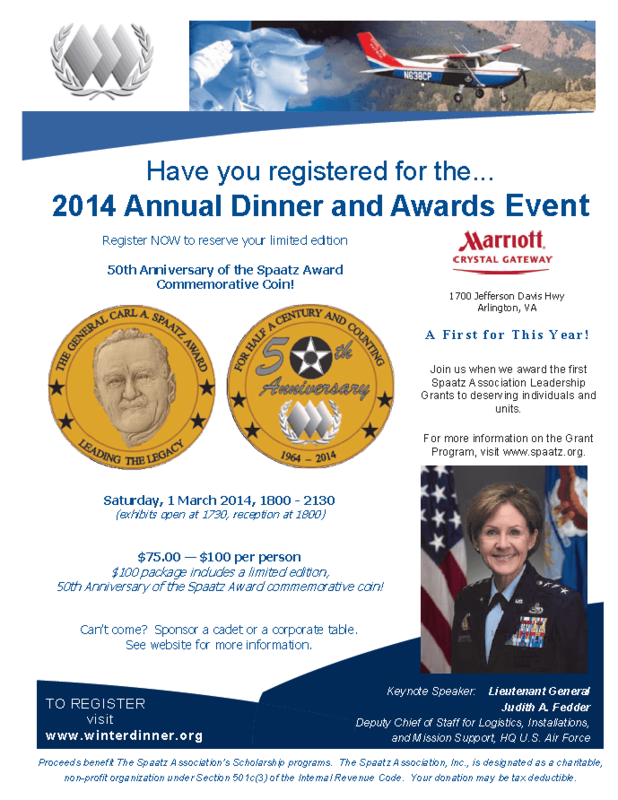 Don’t miss your only chance to get a 50th Anniversary of the Spaatz Award commemorative coin! Click to download the 2014 MWD February Full Marketing Flyer suitable for printing or a PowerPoint PPT slide deck for use in your units!